It has gone in and out of style, but has never completely gone away. It has graced the bodies and clothing of celebrities and historical figures and has been, credited by some, with possessing mystical powers. The cameo is as synonymous with Naples as pizza or Pompeii. The hands that transform shells into fine art are skillful and dedicated to the tradition of cameo making. No doubt, the cameo is here to stay as both an art form and a jewelry box staple. Take the funicular from the historic section into the hills overlooking both Naples and the Mediterranean. Next walk several short blocks and you will find yourself at Cameo Factory de Paola. Situated on a street corner, the shop looks ordinary and unassuming. 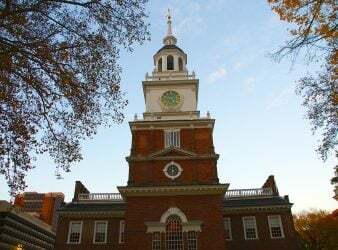 But when you enter, you immediately understand that a kind of magic takes place here daily. Arrayed before you is a captivating display of hand-crafted cameo and coral jewelry, as well as decorative pieces. Moving your eyes over the seductive selection of tiny faces emerging from oval backgrounds and framed in silver and gold is almost hypnotic. Now, look to the left of the door, and you will see the place where the magic begins; the work table of Renato de Paola. Renato has about him an unmistakable air of dignity and refinement. His artist’s hands are as gentle and soft as his voice. 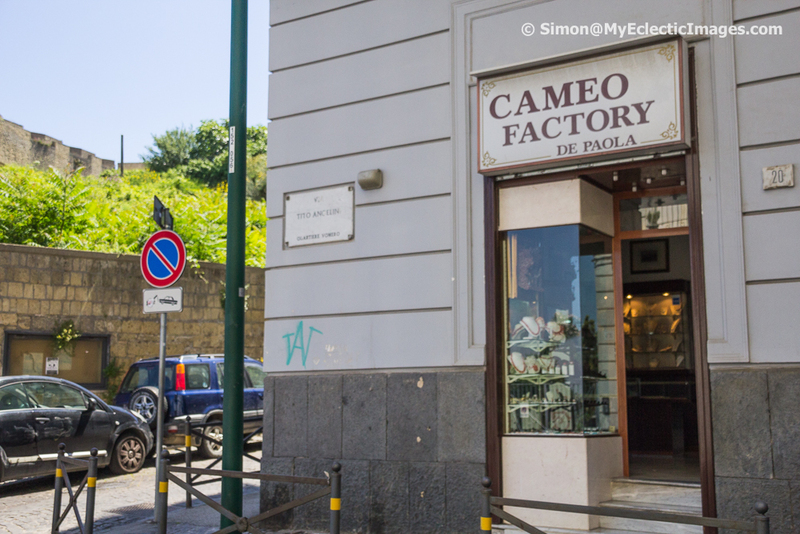 With patience and reverence, he tells the story of Cameo Factory de Paola. It was 1932, when Vincenzo De Paola founded the company in Naples. 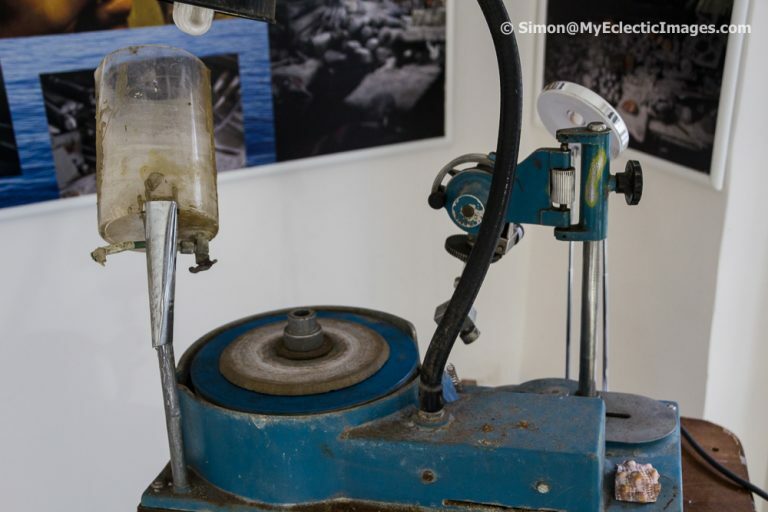 As soon as his son, Renato finished school, he joined his father in keeping alive traditions of precision and quality of workmanship that dates back to the days of the Greek Empire. And Renato, now 72, has passed the skill and passion involved in cameo making to his own son, other family members and employees. Over the decades, Renato has seen the cameo’s popularity wax and wane. Classic Greek and Roman faces were once all the rage, but every time the cameo makes a come-back, modern subjects are added to the repertoire. Among the famous faces Cameo Factory de Paola has been commissioned to replicate are Pope John Paul II and American post-war President Dwight David Eisenhower. 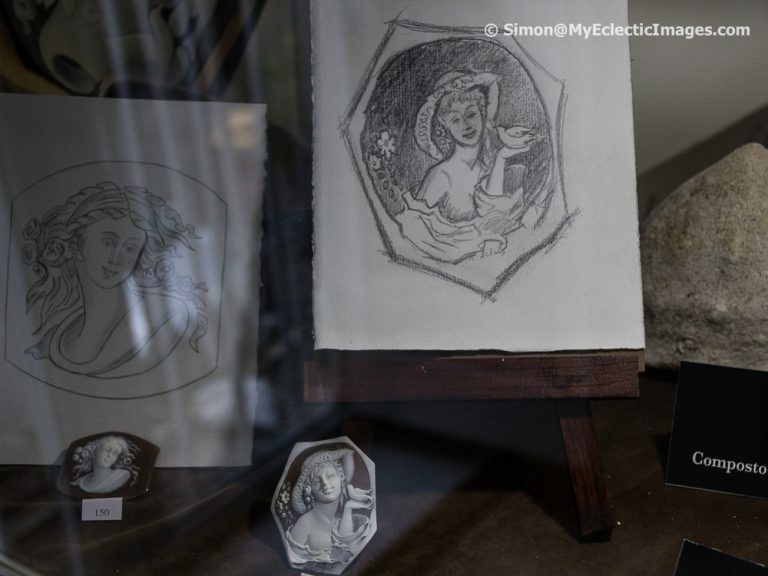 If you, have the desire to see your own face immortalized in the center of a cameo, all you need to do is send your photograph to Cameo Factory de Paola, and – for a price – you will receive a beautiful, unique cameo selfie. The factory also produces larger decorative cameos to hang on a wall or adorn a jewelry box. De Paola Cameo factory produces each item with original and hand crafted with tools similar to those used thousands of years ago. “We are very famous,” says Renato with obvious pride. ‘Sardonic’ shells from the Caribbean, and ‘Carnelian’ from East Africa are two of the varieties used by Renato. The concave center of the shell must be thick enough to withstand the process. This will enable him to transform it into a work of art. Renato begins the transformation by tracing an oval in the concave center on the inside of the shell. This process is called signing, then he carefully cuts out the oval, after which a grinding wheel is used to efficiently remove excess material, insuring a smooth edge. The cameo-to-be is attached to a wooden spindle with special adhesive, and the real work commences. Renato sketches his design in the center of the oval, and using a bulino – a metal scraping tool, – he begins to carve. Meticulously scraping away the white surface surrounding the sketch, the pink layer of the shell emerges. This lower layer will serve as the backdrop for the face, which, when completed, will stand out in sharp relief. Renato uses flat-faced, round-edged and three-cornered tools, growing ever smaller, as Renato adds fine detail to the cameo. Finally, the finished cameo is gently cleaned and specific areas of the piece are polished. What was once home to a crustacean is now a stunning one-of-a kind piece of jewelry. Renato estimates it takes one to three days to make a cameo depending on size and level of detail. A pair of earrings takes less time to produce than a pendent or broach, because less detail on a small surface does not require as much time. The cameo is described as a small relief carving of a face, figure or scene. In Italian, the word itself, means to engrave. However, it is believed ‘cameo’ originally derived from the ancient Hebrew/Arabic word ‘kamea’, which translates as ‘charm’ or ‘amulet’. Add mysticism to art, and you have an adornment that, according to legend, will also bring health and good fortune. Later, the Romans began to experiment with blue and clear glass. Remnants of this period are rare, and consist of barely 200 fragments and a handful of complete pieces. 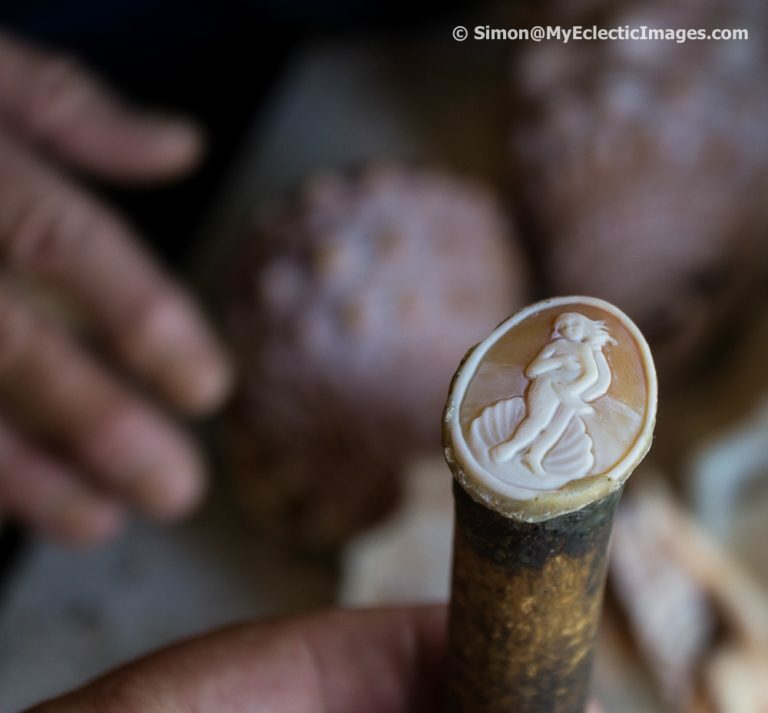 Although the use of shells as a material for making cameos began in the Naples area 2,000 years ago, it wasn’t until the Renaissance, of the 15th and 16th centuries that shells became the substance of choice for carving cameos. 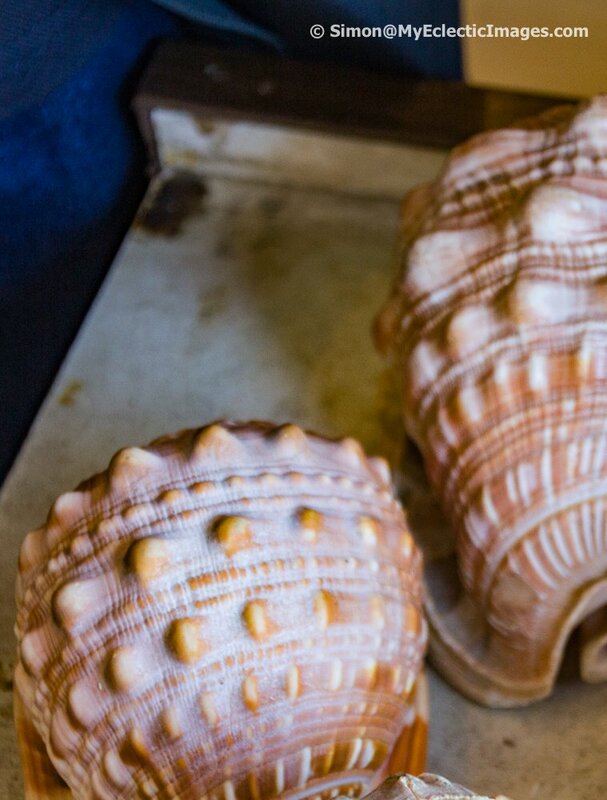 These pieces were typically crafted from mussel and cowry shells, the latter originating from a tropical mollusk. These cameos generally consisted of a gray background with a white face or figure. As new shells were discovered to be cameo-friendly, demand in England for this type of jewelry grew during the mid-19th century. As a result, cameo making had a resurgence. 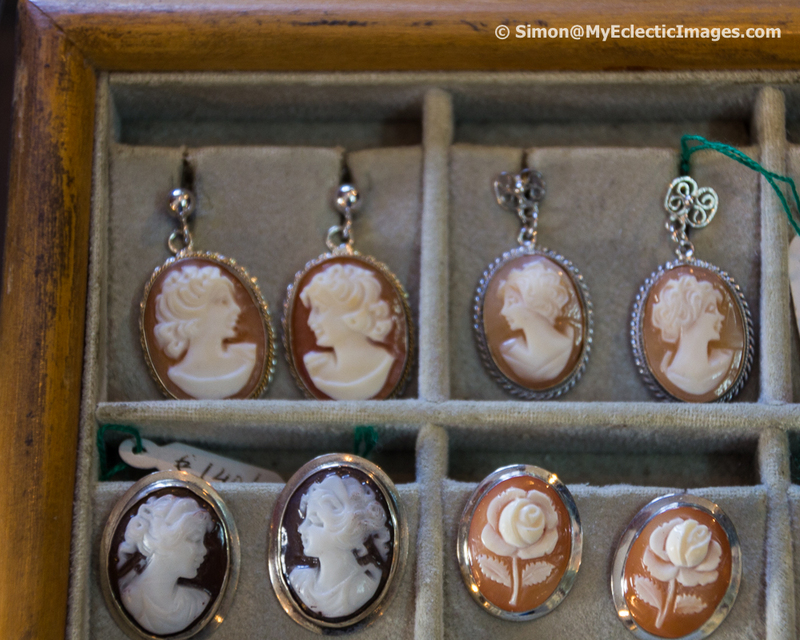 The appearance of Queen Victoria’s face on cameo broaches and necklaces not doubt bolstered their popularity. For a hand-crafted one-of-a-kind cameo, expect to pay upward of 100 Euros, depending on size and level of detail. A pair of whimsical silver drop earrings ending with tiny cameos from de Paola’s will set you back at least 50 Euros. Larger pieces require far more precision to carve a greater level of detail. In order to obtain the most value for your money, consider purchasing your cameo directly from an original source. Various stones, and other materials including plastic, provide the materials for cameos most often manufactured by machine. They will cost you less, and look pretty, but they will not be unique. If you can afford the real thing, consider your cameo a piece of wearable fine art. If the funds aren’t available, you can still enjoy the art and history of the cameo through exhibits in museums open to the public. Two such venues in Naples are The National Archaeological museum of Naples and Il Piccolo Museo del Cammeo. Located in the older part of Naples, a room above Gerolomini Gallery housed the museum. You can browse the cameos available for purchase. You will find only cameos hand-made by artisans from Torre del Greco, a center of original shell cameos located near Pompeii. Proceed up a narrow flight of stairs to Il Piccolo, Museo del Cammeo, ‘small museum of the cameo’. 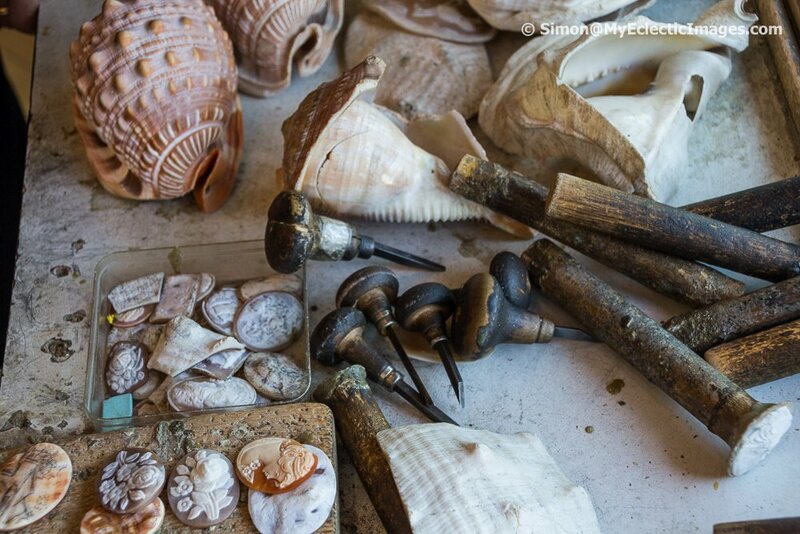 There you will see an impressive collection of antique cameos, carving tools and a video – available in several languages – showing how a seashell becomes a cameo. 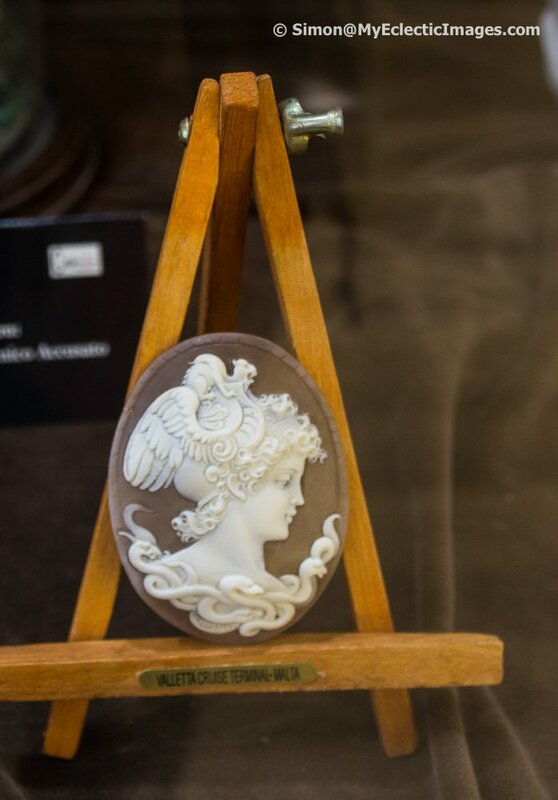 Whether you see the hand-crafted shell cameo as a timeless piece of jewelry, an art form, or both, if you spend only a short time with a talented artist such as Renato, you will come to appreciate the amount of skill, craftsmanship, adherence to tradition and love found in the art of cameo making and each cameo created by those gentle hands. 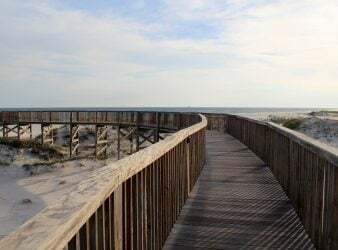 Penny Zibula is a freelance travel writer and blogger based in New Bern, NC. She has had a life-long passion for travel, and for learning as much as she can about cultures crafts, foods and wines through the people she meets in both nearby and far flung places. Along with her photographer husband, Simon Lock, and her guide dog, “Otto”, Penny has spent the last three years focused on making the most of what is supposed to be the couple’s retirement. Penny’s background is in public relations and community outreach, with nine years as a television talk-show host and producer. As her career progressed, she found herself writing a variety of copy: articles, newsletters, annual reports, press releases, etc. When Simon and Penny moved from Atlanta to New Bern in 2006 to start their business in auto repair, she began to cast about for opportunities to continue writing. Through her networking efforts, she landed a part-time job as staff writer for The County Compass, a local weekly publication, where she learned that writing for a newspaper was a niche unto itself. When Simon and Penny decided to close up shop and retire early in 2013, they began taking online courses and live workshops in travel writing, web copy, blogging and, for Simon, photography, through Great Escape Travel (GEP) and American Writers and Artists Inc. (AWAI). 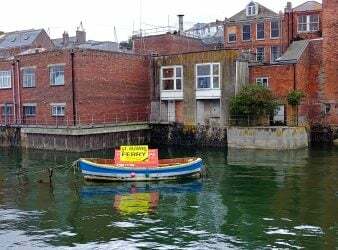 Today, Penny writes regularly for her travel blog, http://sixlegswilltravel.com, and is continuously expanding her freelance travel writing for newspapers and both print and online magazines, with Simon taking all the spectacular photos. Both Penny and Simon are members of the International Travel Writers and Photographers Alliance ITWPA). Penny, this was such a lovely and well researched piece. The photos really brought the story to life. Thank you for sharing your experience.